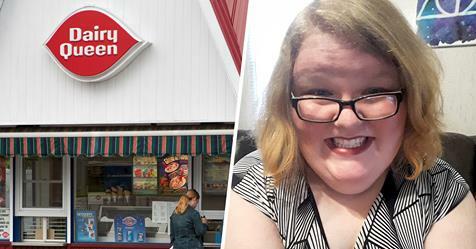 Strangers are rallying around a woman who posted a video message about how she was fat-shamed outside of a Dairy Queen in Illinois. 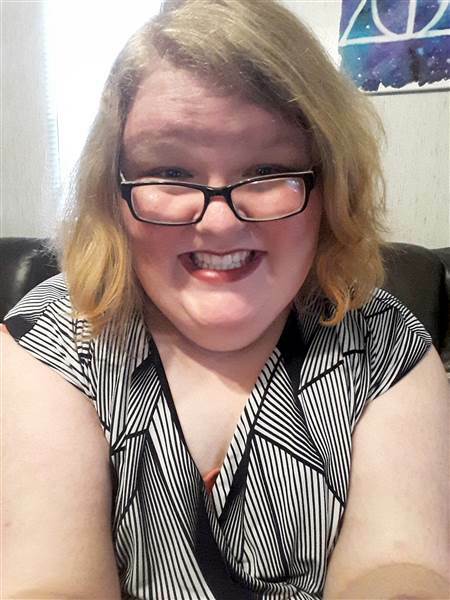 In a viral Facebook video, Shauna Arocho explained that she and her husband went to the Dairy Queen in Springfield on Monday for “Free Cone Day.” Arocho said she follows a strict diet and exercise routine and has lost 40 pounds since January, but that day, she wanted to treat herself. “I decided to sit outside because it was really warm out today even though it’s not very sunny, and as I’m sitting out there enjoying my ice cream cone, a car full of men stopped in the middle of a busy road just so they can roll down their window and say, ‘Eat that ice cream, you fat B-I-T-C-H,’” Arocho said in the video. Arocho, 27, told TODAY that she’s often the target of cruel remarks about her weight, but this one was particularly hurtful. Since she posted the video on Monday, it's been viewed nearly 11 million times. Now Arocho is being bombarded with messages of a different kind: from well-wishers thanking her for her honesty and her grace in a cruel situation. "Thank you for being strong enough to share," one woman wrote. "Stay the course. It is hard, but you have inspired me." "Hold your head high, girl," another said. "As you can see there are a ton of kind and decent people in the world who support you! Don't let those insecure men bring you down. They are the ones who need our pity, not you." Arocho called all the responses "overwhelming." "I can’t believe how much support there is," she said. She shared her story in hopes that it would reach other people who have gone through similar situations, and also to let her bullies know that what they did was wrong.